I was a big proponent in getting I-522 on the ballot, but as time went on, I had some nagging concerns that grew larger and larger. The truth is, those concerns haven’t been addressed. I-522 is flawed. But I’m still voting Yes. Let me start with the concerns. First, there are loopholes in what things are labeled and what are not…and that is unfortunate. Second, and this is my biggest concern, is that I fear that with the government controlling the process, it will also eventually (if it hasn’t already) control the defining of what is GMO and what is not. May seem like an elementary thing, but look at how the labeling for things like “All Natural”, “Free Range” and even to some extent, “Organic” have have been twisted. 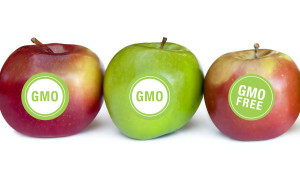 I fear eventually that the re-defining of the term will make GMO labeling meaningless. See, I want labeling. But I also want to the labeling to be clear. And honest. Multi-national corporations like Monsanto, Dow Chemical and Coca-Cola have contributed millions to the No on I-522 campaign. Overall, nearly $32 million has been raised to defeat the measure. You’d think that with so much money devoted to the No on I-522 campaign, a lot of that money would come from Central and Eastern Washington. You’d be wrong. There’ve been just four individual contributions since the campaign began. And that tells quite a story. Yes, I-522 is flawed. But with this much attention and focus on it, those flaws can be fixed.